Well what’s there to say really – the long awaited publication of the follow up and last in the Girl Trilogy is now available to Pre-Order from Amazon. It took two months longer to publish but then life intervened to throw virtual rocks in my direction causing my writing to stumble and pause while I navigated the mindfield around me. But now it’s out and all that’s, if not forgotten then filed away in a little space just behind my left ear. So what’s this one about then? 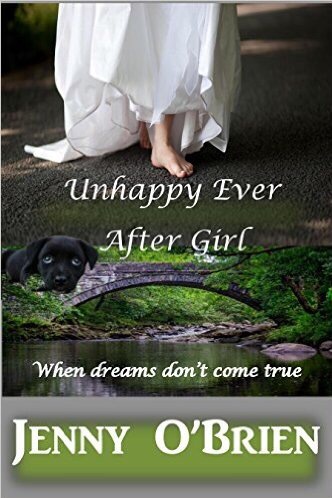 That would be telling and I don’t do spoilers either of my work or others however I have a story to tell as Unhappy Ever After Girl is a tale of a story within a story. Once upon a time there were two girls and two boys dragged, if not kicking and screaming then with an ever increasing reluctance to church every Sunday. Whilst there was no electronics to speak of in the Seventies there were other draws on their time than listening to old sermons and even older hymns – and then there was the window. The glorious window exploding with vibrant blues pinks and greens to enthrall, to dream about. It wasn’t just the stained glass though it was the wonderful words – the dedication to the recently departed loved one. Just who was this man that would grieve so acutely to commemorate his wife’s memory in such a way? So that’s where my idea came from and what better way to raise a toast to such a love than write about it? And then there’s Betws-y-Coed. If you haven’t been to Betws you really should add it to a place to go in the future. It’s not just the scenery, although that’s awesome. It’s the people, the shops – it’s everything. This is a place I used to visit with my parents and now I visit with my children and it’s as magical now as it was to a wide eyed seven year old. The bridge on my book cover isn’t of Mabel and Derry’s ‘Pont y Pair Bridge but it could be…. No apologies about not being on social media more than that but I’ve a book to publish! Life is a journey and never more so than when applied to writing. As with all journeys there’s that day when all the traffic lights are green and when other drivers are surprisingly curteous – and then there’s days, weeks – months even when life and specifically writing isn’t easy. I started the last in my trilogy on the 18th of January with the firm conviction to be finished end of March or early April at the latest and then life intervened. Not going into specifics there are many things happening that are so much more important than writing and my little hobby seems to have slipped in the hierarchy of what’s essential. That said journeys deviate, but roadworks are overcome and the end is finally reached if only by a circuitous route. So next week the plan is for my book launch. As I’m self published (at the moment 😉) there’s a lot of work to do. There’s a title and a cover, but now I need to get my ever expanding derrière onto Amazon to sort out the boring stuff. I also have been asked to write a press release (Whoop) for a Welsh Tourist Office (big hint as to the book’s setting lol) and sort out ARC’s. The acknowledgements seem to get longer with each successive book and I have many people to thank including Valerie Keogh for letting me include her book – Such Bitter Business and Adele (Kraftireader) for letting me borrow her name. Back to my journey. This time last year I had no idea I’d have published 4 books in a year -okay so they’ve been 7 years in the making but like anything practice makes perfect. I love the two main characters in my latest book, and I’ll be sorry to see them go…. But they’re journey is just beginning. As a reader the first person isn’t my favourite POV, probably something to do with being a child of the sixties but, whatever the reason I tend to avoid them. I also tend to avoid reading about weddings so no one was more surprised when I actually downloaded Cupcakes and Confetti from Amazon. But whatever the driver I soon found myself enthralled with Rafe, well just who doesn’t like a dark muddy Heathcliffe type of hero! 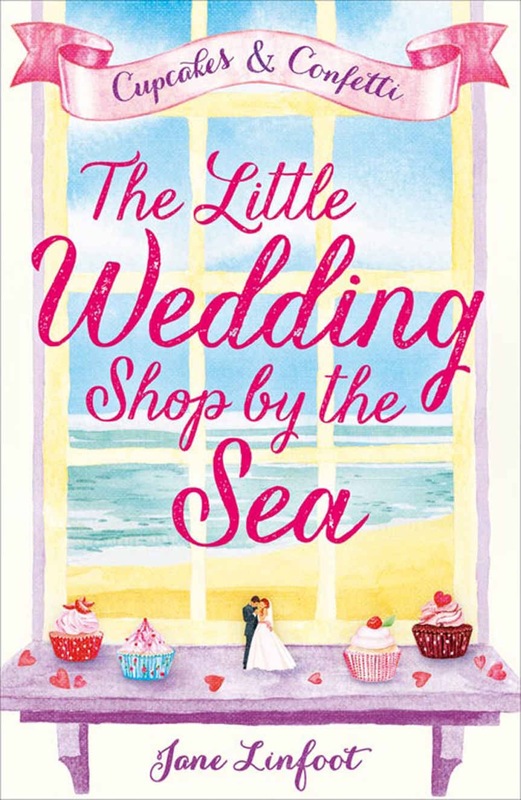 And (I know, you should never start a sentence with an And, but whatever… ) AND Jane’s writing is lovely, strong even – there’s a beautiful scene at about 10% in where she regresses back to thoughts about her childhood, and thoughts about her BF in particular. It’s worth reading the whole book for sublime writing like this! The plot, everyone homes in on the plot so I’m going to avoid it, other than to say something happens 3/4 way through which changes the tone and turns this from a good book to a great read. I’m not surprised this is doing well under the saga genre as Jane Linfoot’s strength appears to be in creating and then untangling a range of characters giving each a unique identity. Immie will, for me be a young Julie Walters from Mamma Mia while Poppy… Don’t get me started. To cut long blond locks to a short red cut because she’s not that girl anymore. And me? I’ve added Jane Linfoot to a very select group of writers that I’ll read, despite the plot. It doesn’t matter that I don’t like first person or indeed reading about weddings….